He is an expert in international finance and has had over 26 years of experience with Bank of America, mostly in the U.S., Hong Kong and Japan. Some of his previous assignments were, as the Chief Executive Officer of the Bank of America in India from 1998 to 2001. From 1981-1990 he headed the Bank of America’s (oil & gas) practice handling relationships with companies such as Exxon, Mobil, etc. From 1991-94 as Chief Executive of BA Asia Limited, Hong Kong, he looked after Investment Banking activities for the Bank in Asia. In 1995, he moved to Tokyo as the Regional Executive, managing Bank of America’s business in Japan, Australia and Korea. 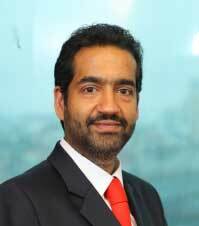 From 2001 to 2003 he was the Chief Financial Officer of HCL Technologies, India. 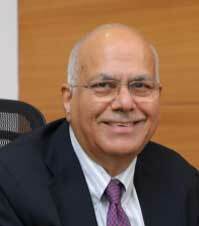 Mr. Sunil Sethy is a Fellow Member of the Institute of Chartered Accountants of India (1974). He is a Finance professional having 40 years of experience in different companies out of which 29 years in Finance discipline and 11 years as MD / CEO. He was holding the position as Vice Chairman & MD in Binani Industries Ltd, Finance Head / MD in Chambal Fertilizers & Chemicals Ltd, Director (Finance) in Eternit Everest Ltd, Controller of Finance in PSI Data Systems Ltd. He was director in Paradeep Phosphates Limited and Simon India Limited. He has held important positions in many other companies. Over 14 years of track record of promoting and managing businesses in diversified industries like fertilizers, agri-inputs, heaving engineering, sugar, consumer products, real estate, investments and furniture etc. Mr. N. Suresh Krishnan holds B.E (Hons.) and M.Sc. from BITS (Pilani). With 28 years of corporate experience in fertilizer, energy and cement sectors, he has been associated with the Adventz Group for over two decades and has been widely acknowledged for his leadership, vision and commitment. His functional experience spans corporate finance, corporate strategy, projects planning, operations and business development. Over the years, he has been instrumental in financing of large Greenfield projects in the domestic and international markets, forging and managing joint ventures and acquisitions and in executing turnaround strategies alongside day-to-day operations in the manufacturing sector. He is on the Board of Directors of several Adventz Group companies and joint ventures..
Mr. N Suresh Krishnan has taken over as Managing Director of the Company from January 1, 2016. 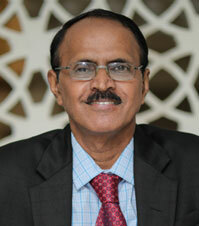 His entrepreneurial foray was in the field of Pharmaceutical services As the lead investor and CMD, he built a Clinical Research Organization(CRO) which brought new drugs market in stem cells, medical devices biologics and generics This CRO became leading Indian clinical CRO with highest reputation for quality and speed and had operations in 27 countries in Europe and Asia. 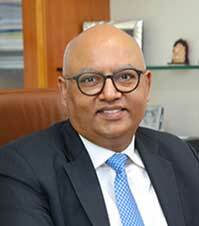 He has served as an Independent Director on the Boards of Shasun Pharma, Take Solutions, Four Ways Healthcare PLC, served as Chairman of GE-BEL, Ecron Acunova GmbH, as Director on GE Yokogawa Japan, GE-Samsung Korea, Manipal Gp, Manipal Hospitals, Manipal University and is reputed for contributing to strategies & building new stakeholders. 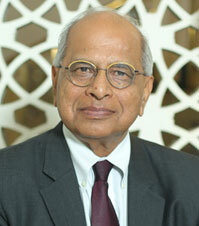 He served as an independent Trustee on Shriram Ownership Trust the apex organization of Shriram group. He served on Public Policy advocacy organizations like Center For Policy Research for over a decade. He has mentored startups and portfolio companies of international funds. He is strategic Advisor to InnAccel, a leading med-tech accelerator. He has deep interest in Public Health, Education, History and has currently several initiatives in these fields. He is an alumnus of IIM Ahmedabad & GE Business Leadership Program at Crotonville. Mrs. Rita Menon holds M A (Economics) from Delhi School of Economics. She is a retired IAS officer of 1975 batch. 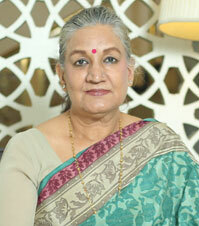 In her career as IAS officer she has worked in various positions like CMD of ITPO, Chairperson of TNTPO & KTPO, Joint Secretary to Secretary Positions at various Central Ministries, MD of UP Finance Corporation, Director at various central and private sector undertakings like BEL, GRSEL, Goa Shipyard Ltd, Mazagaon Dock Ltd, SIDBI etc. 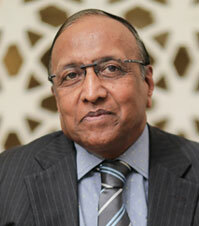 Mr. Prabhakar Rao,has been working with MCF since 1978 and has handled various responsibilities in the Company. As Director – (Works), he is presently responsible for production, maintenance, quality control, technical services, projects, safety and logistics at the Company’s plant in Mangalore. Mr. Rao has widely travelled and participated in many National and International symposiums. He has attended various Management Development Programs in premier Institutions such as IIM Bangalore & Ahmedabad.